The Ashton OM24 is a guitar of great quality featuring rich sapele body, fingerboard made of warm rosewood and a solid spruce top. Great for beginners and intermediate players, this guitar creates perfect tunes thanks to its chrome die cast tuners and slim neck. There is a wide range of colors the players can choose from with some of the most popular colors being tobacco sunburst, black and natural. The beautiful rosewood fingerboard is connected to the mahogany neck and features cream plastic and polished frets for a smoother edge. The slim neck and polished fretwork make the guitar very easy to play even by novices. 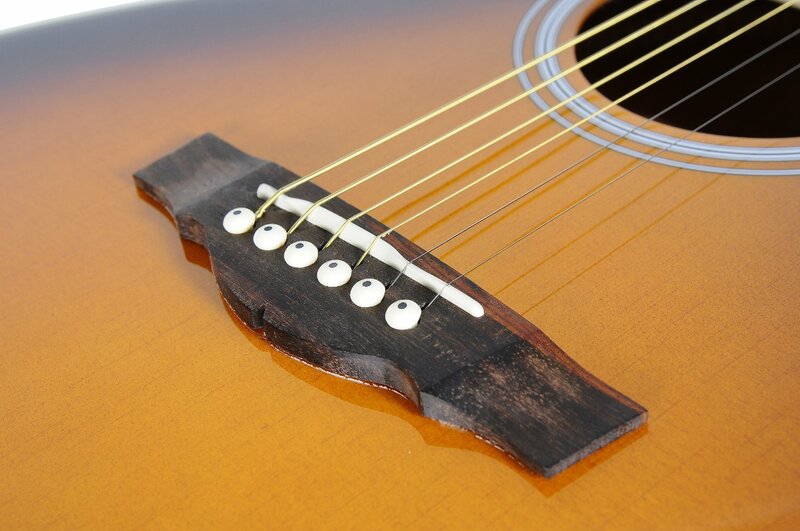 The spruce top is responsible for the high quality, bright sound usually associated with all Ashton products. 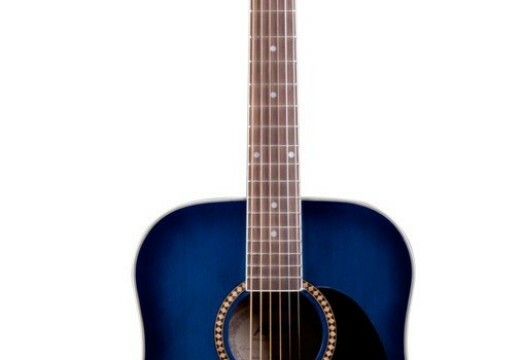 Even though the guitar is only cheap, it is still suitable for experienced players. This Ashton Orchestral model has a very small waist, which helps for a bell-like and crisp sound quality. Ashton OM24TSB Acoustic Guitar is smaller in size as compared to the well known dreadnoughts but it still produces brilliant sound and a lot of volume and noise coming from the slightly smaller body and shape. This guitar is perfect for the players who love the finger-picking style, which is hard to be practiced with a standard dreadnought. 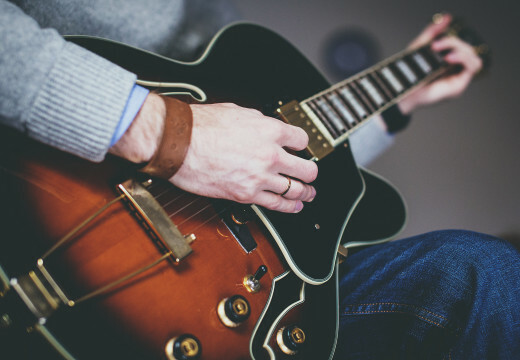 We believe that this brilliantly executed Ashton guitar is the right choice for beginners and intermediate players as it has the qualities to satisfy both playing abilities. It is easy to handle and play and creates beautiful sounds. Players can choose from a wide range of colors, which is great when you want to make a personalized gift to somebody special. It is extremely affordable and well built to last a long time.